I am a firm believer in the power of blogging. It's not so much about the audience that reads the blog as it is the reflective process you undergo as you compose your blog posts. For years, I always had a group of books in mind that I really wanted all my students to experience before they moved on from elementary school. There were these great pieces of children's literature that were so powerful and that delivered nuggets of wisdom that I felt that I wasn't done with teaching the students until they experienced those characters' and their journeys. This year, I decided not to let the year with that sense of "unfinished business". I created a One Book, One School, Every Month program in which all k-5 students and their teachers would have this body of shared literature. 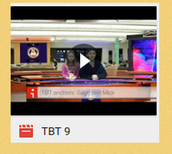 Each month, a class or grade level would come to the media center for that month's selection. What resulted from this experience far surpassed my goals. 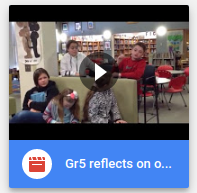 Just take a look at the video clips of grade3 and grade 5 students sharing the themes and character traits they began to recognize across the titles when we paused after title 6 (month 6) to reflect on this program. Truly amazing! Click here to view the 3 minute video. 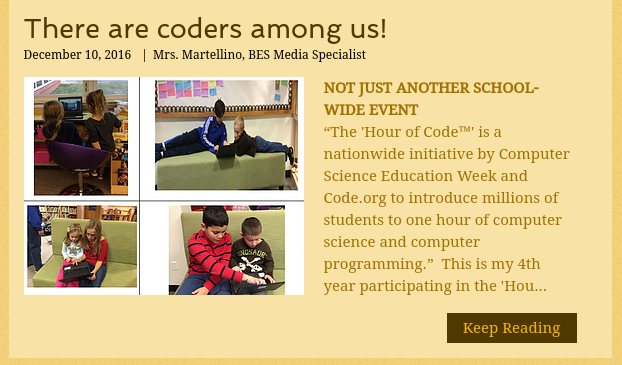 Fun ways to combine coding, robots, and literature! For two of the One Book, One School selections, a follow-up activity consisted of kindergarten students programming robotic mice to retell the story of Keep On! As Matthew Henson navigated many challenges to reach the North Pole, they created the setting and programmed the mouse to reach North Pole! CLICK here to view the activity. Empower Your Students by Letting Them Tell the School News! For the past three years, I have a group of students who volunteer to serve the school through our Media Center Squad. 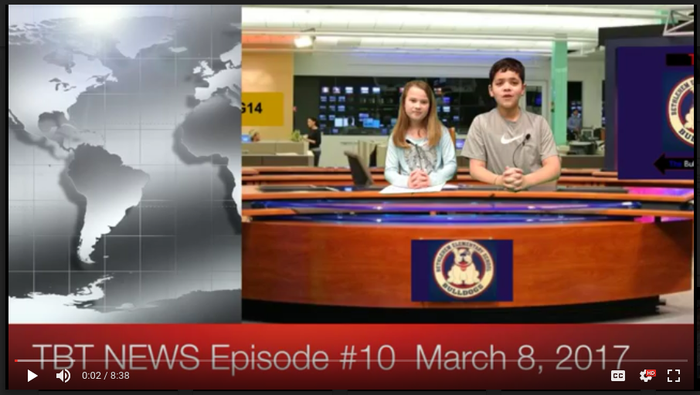 We decided to create a news show to showcase what's happening in the school. This has been such an empowering experience for students and a great way to see what they view as important. It creates a strong sense of community and sense of pride as students are the ones to create and deliver the news! Watch this past year's episodes on my website. 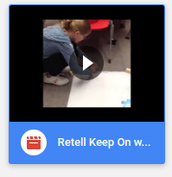 Students have opportunities to reflect on their growth because they have these video clips to review. It's wonderful to see how they gain confidence and develop poise and fluency in oral speaking. EXPLORE Prior years' work samples! 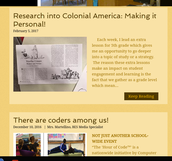 Prior to blogging, I used a Smore and Thinglink to create a digital portfolio. Please click on an image below. I created each section using "Thinglink." If you are unfamiliar with "Thinglink", you will notice that once you select one of the images below, hover your mouse over the image. You will then see dots, arrows, and hearts. Click on any of those symbols and it will take you to the link of an example my instructional practice. 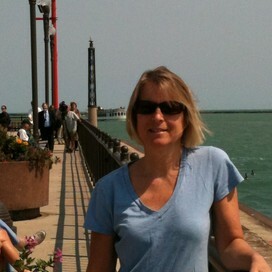 Take a look at my library website! Click here to view my website. 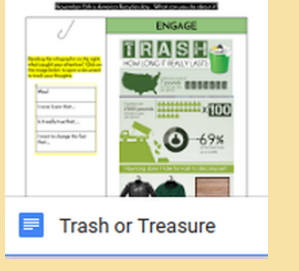 I enjoy building great resources for students and staff! Take a look at my presentation at the 2015 and 2013 AASL conference workshops as well as 2015 and 2016 CASL CECA Presentations. At AASL 2015, I co--presented with Jenny Lussier, a fellow CT school media specialist. I theme for that school year (while we were both in different districts) was 'Let Them Create." View the presentation here! At AASL 2013, I presented my summer camps with a colleague at the national school library conference in November 2013. View it below or click here. At the 2016 CASL CECA, our state joint conference , I presented on the transformation in my instruction through the creation of Hyperdocs. View the slideshow here. 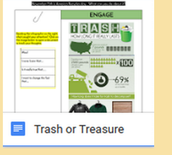 At the 2015 CASL CECA conference, I co-presented with my Region 15 Colleagues on the Power of Google Classroom. Click here to view the presentation. 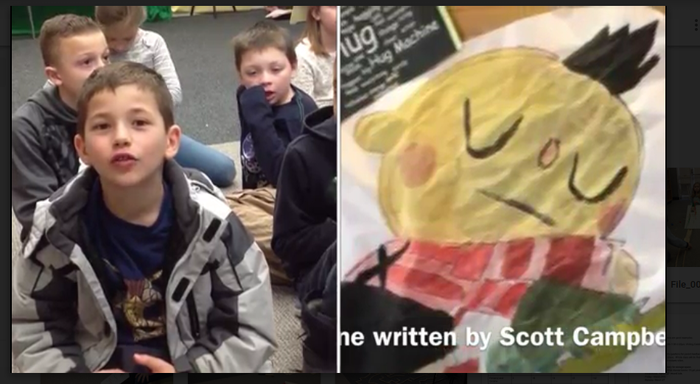 The students had a challenge to create an ebook biography for lower elementary students. They used Pebble Go as a guide for features and content needed for this level ebook. I co-taught the camp with Mr. Joel Pardalis and we were quite pleased with the students' work. These files were created on iPad using bookcreator. They are epub files so you will have to open with iPad, iPhone, or any device that reads epub files. To experience the fullness of their creations, open in your ibooks on your iPad. Click here to view ebooks. Check out the Charter Oak Book Award Program I Created! So excited that this year will be our 6th year and we now have more than 3,000 students statewide participating! Click here to view the Charter Oak Website which I manage.